Some trips are just out of this world, super-extraordinary, non-exaggeratingly epic. This is one of them. It takes a series of increasingly smaller planes and boats to reach this camp in the self-governing region of Nunatsiavut, at the northern tip of Canada’s Labrador peninsula. A motley community of academics, Inuit elders and youth, and paying guests coalesces for six weeks in the summer months when the sea ice melts enough to enable travel. 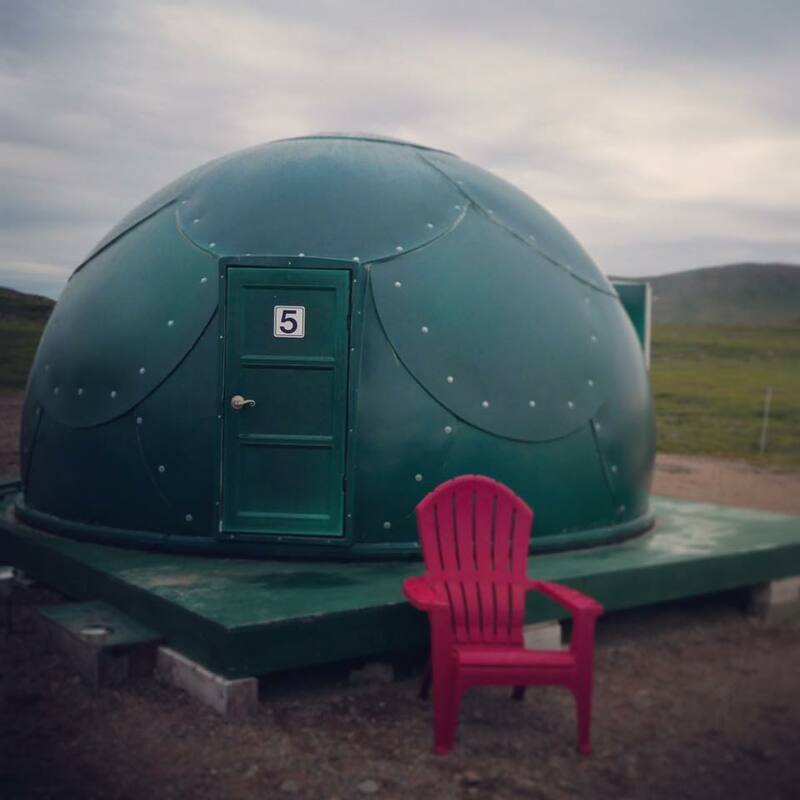 Scientists and staff sleep in basic tents; tourists on four- or six-day inclusive programs enjoy the relative luxury of Ikea-furnished yurts and pods and guided excursions such as hiking, bear-spotting, cruising fjords, and getting close to icebergs. 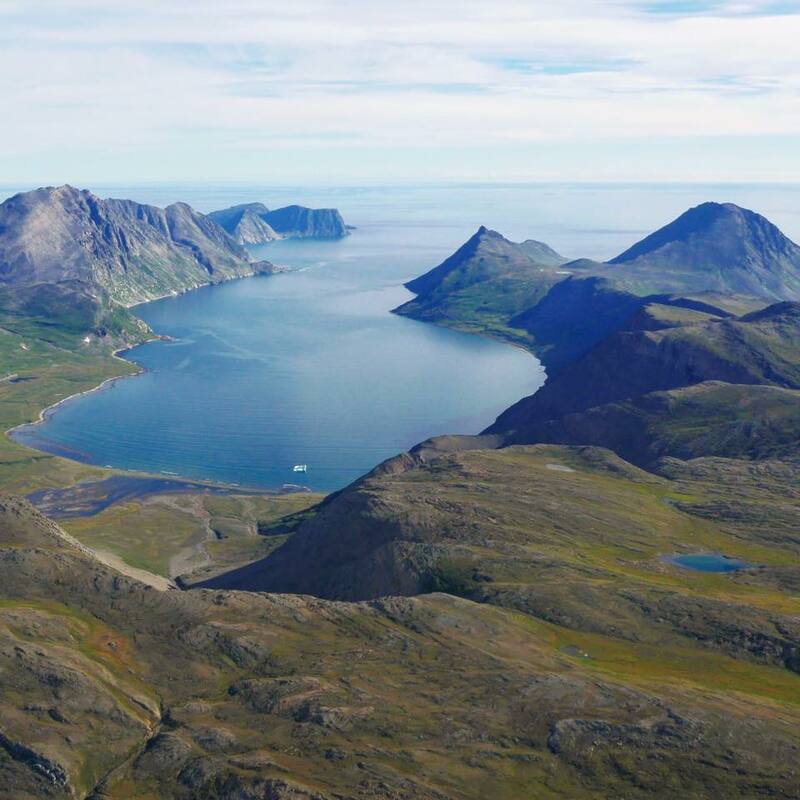 Edenic and untouched, the Torngat coastal mountains contain some of the oldest rocks in the world dating back almost 4 billion years. It’s a fleece-wearing, boreal kind of paradise, with mountain, sea, and sky assembled in divine symmetry and proportion. Cue the cute/scary mega fauna—polar, as well as black bear roam freely here—and the picture is seemingly complete as an epic travel experience. Almost, but not quite. What truly vivifies this sub-Arctic Arcadia are the descendants of the humans who have tended and been sustained by this land for close to five millennia. 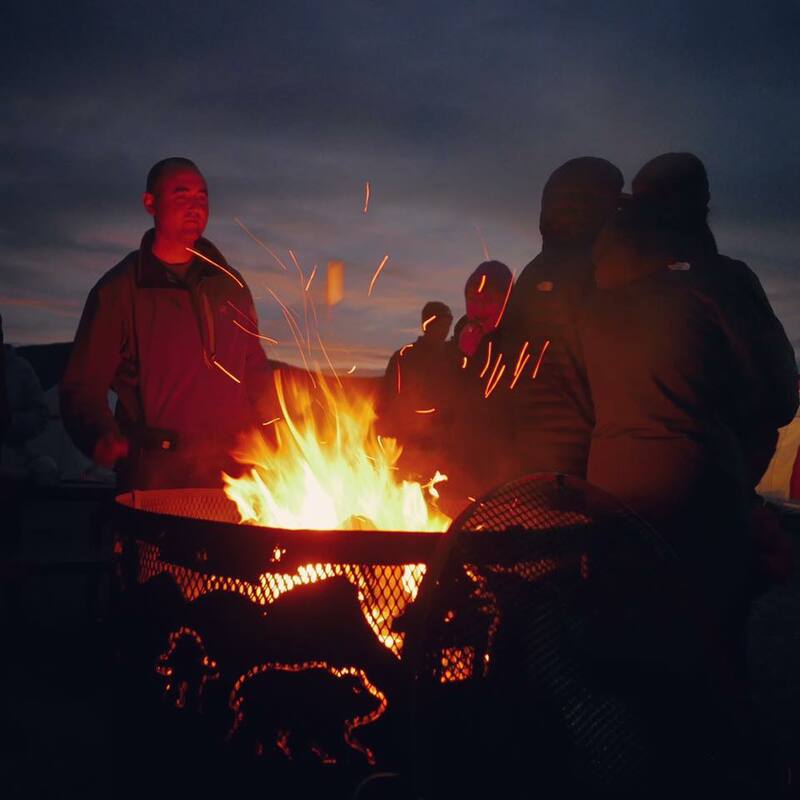 And what the base camp offers that few other concessions do is the opportunity to talk and walk, laugh and learn from these first stewards. Out the window: From Goose Bay to Nain. Labrador, Canada. 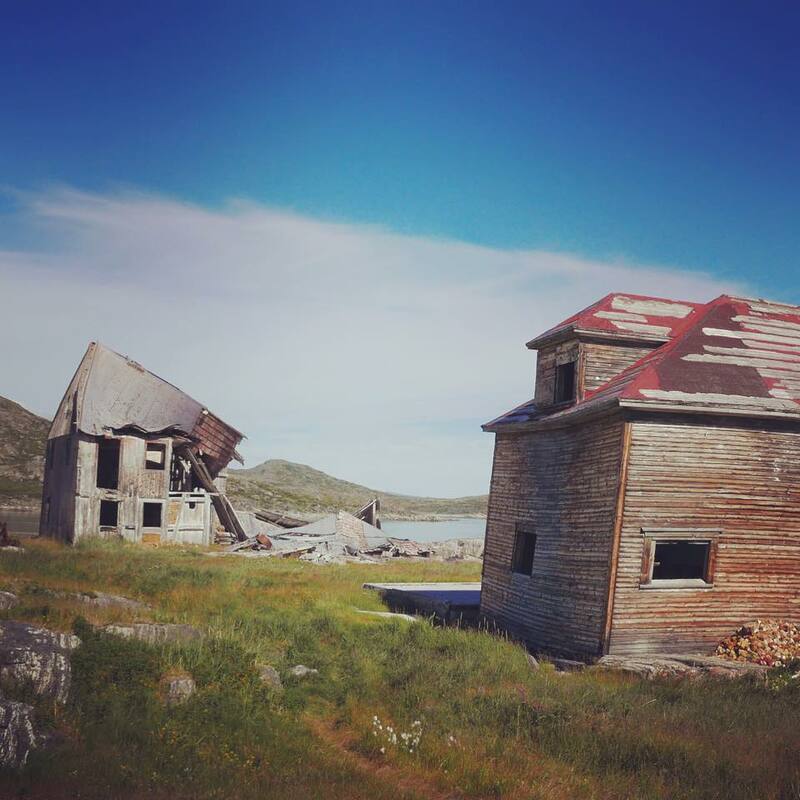 Tidy town: Nain is the northernmost settlement in Labrador and the capital of Nunatsiavut, the autonomous region of the Labrador Inuit. In the summer the front yards bloom with flowers. Bird’s eye view of northern Labrador. This is the airport terminal, check-in, security, and lounge. All of it. Top of Labrador, in Nunatsiavut, that’s where I am. 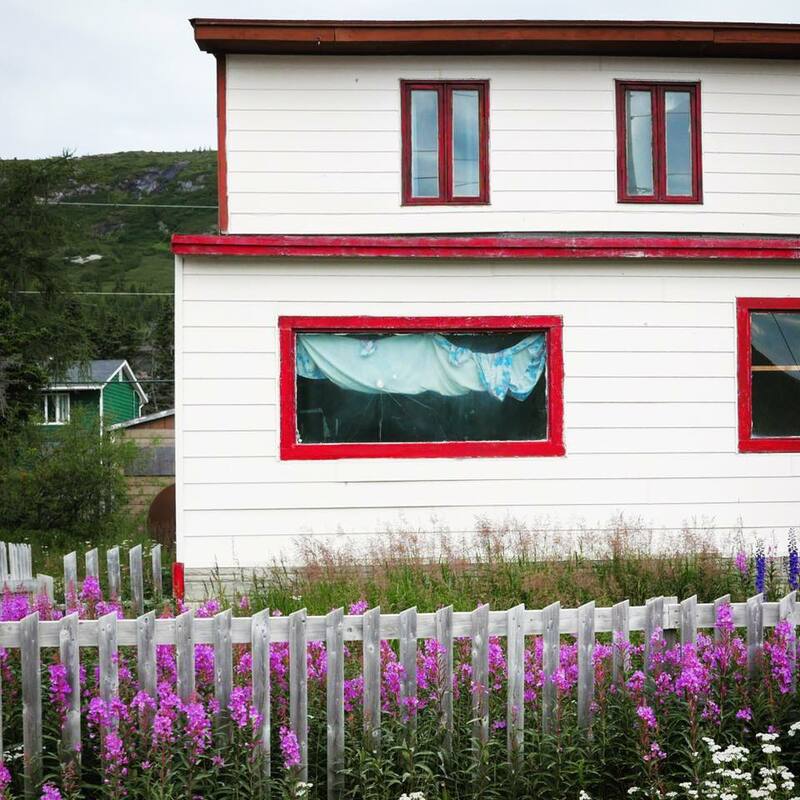 In sparsely populated lands governed by the Labrador Inuit. Blue hues: Off the plane in Saglek (an airstrip built by the Americans in the height of the Cold War and still used to access a radar site nearby) and onto a Zodiac, dodging icebergs on the way to base camp. My dome home for seven nights. In Nunatsiavut, just outside Torngats National Park. It’s got everything I want, except a bathroom. Labrador, Canada. St. John’s Bay, the Torngats, Labrador. Poetic pennants: The staff at Torngats Base Camp is almost all Inuit, and the camp company is committed to bringing in youth and elders to promote Inuit culture. These poems are written in Inuktitut. Northern Labrador. We’re in bear country (black and polar). An electric fence protects the camp at night. Armed bear guards accompany every excursion out of camp. Most guards are men; Boonie is an exception. The Torngats. Leaving camp for the first day’s hike. Nunatsiavut, northern Labrador. St. John’s Bay, Nunatsiavut, northern Labrador. Nancy Kooktook and Jean Michelin prepare an Inuit dish with fish roe and fruit. 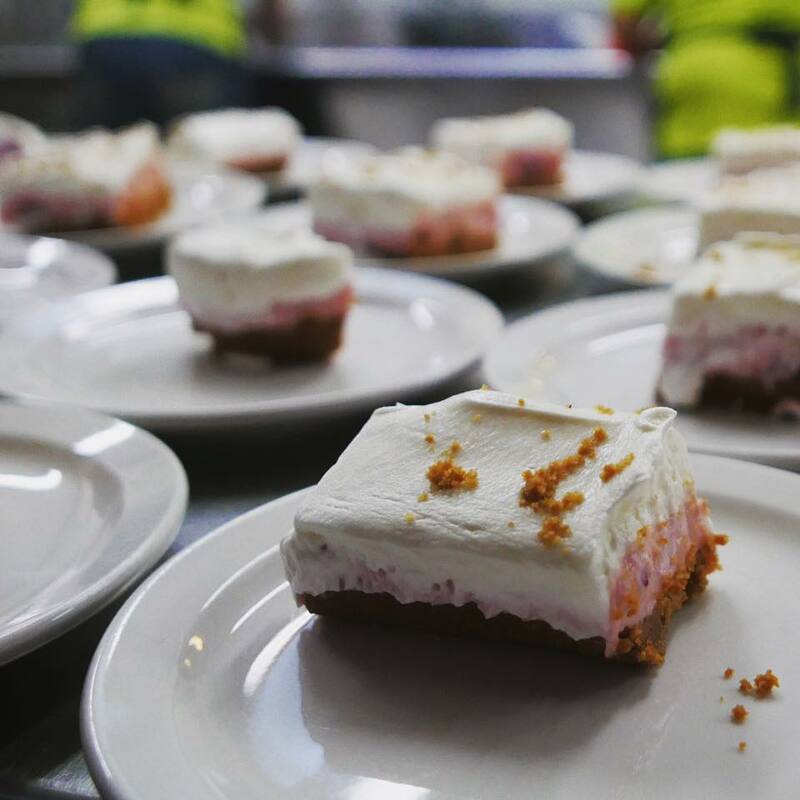 The camp cafeteria feeds some 50 scientists, staff, elders, Inuit youth, and visitors. Notably, I was the only American all week. Torngats Base Camp, Nunatsiavut. Overlooking St. John’s Bay, Torngat Mountains, Nunatsiavut. The elder and the bear guard: The almost all-Inuit staff, plus one or two invited elders, enrich the experience. (I’m working on getting their full names.) Torngat Mountains National Park, northern Labrador. Cruise to the fjords of Torngats National Park. There is nothing to do but stare in awe, as Inuit student ambassadors Megan Dicker and Ruth Kohlmeister do. Torngats National Park. Beauty among beauties: The North Arm of Saglek Fjord. Torngat Mountains National Park, northern Labrador. From the view to the viewers. The Torngats. Salmon is not king in these parts. It is Arctic char, a relative that thrives in colder waters. Delicious any way you have it, whether baked, pan fried, smoked, or raw. (I know; I tried it all.) Torngat Mountains National Park, Labrador, Canada. The fish whisperer: Every time Ruth Kohlmeister threw in her line, an Arctic char came up. Torngat Mountains National Park, Labrador. Harmonic convergence: The presence of such vibrant and talented Inuit youth gives much hope for the future. Michaela Palliser, Jason Dicker, and Jonathan Lidd play on harmonicas given to them by musician-in-residence Mike Stevens, a bluegrass harmonica virtuoso (and all-round super-duper guy) who founded a nonprofit connecting Inuit youth and creative artists (ArtsCan Circle). Food at the Torngat Mountains base camp: simple, hearty, and yum. Desserts: impossible to resist, and I tried. The campfire, Far North style: s’mores and s’melodies on the permafrost by musical pros Elisapie Isaac Aku, Joe Grass, and Mike Stevens. Nunatsiavut. Addicting games: What to do when there's nowhere to go and it's cold and rainy with no Internet or cell service? Play Inuit games of strength and agility. Here, crowd favorite Nancy Kooktook has just bested Gary Baikie, superintendent of Torngats National Park, in the final for the leg wrestle. (Watch out, Darlene Small. I'm training for a rematch of the musk ox push.) Nunatsiavut, northern Labrador. The tip of the iceberg, literally: Because of the relative density of pure ice and seawater, only about one-tenth of the iceberg is visible above the water. The iceberg that sunk the Titanic was floating off the coast of Newfoundland, south of here. Fun fact: smaller floating pieces of ice are called bergy bits and growlers. Northern Labrador. Polar bear swim: Our boat was chugging along when this head pops up port side. The ursus maritimus, or nanook as Inuit people call it, spends most of its time on the sea ice and can swim for one to 10 days straight. In summer in this area (south of the Arctic Circle), where the ice pack melts completely, bears roam on the land. They can be unpredictable and dangerous, which is why we never go anywhere without an armed bear guard. Northern Labrador. The swimming bear clambered over the rocks in less than a minute, turned at the top to look back, then dropped from view. A thrill to behold the apex predator in its habitat, and a reminder that humans are not at the top of the food chain. Torngat Mountains. Inuit elder Sophie Keelan visits Rose Island, where she was born. The island holds many Inuit graves in an area where human habitation goes back 5,000 years. A pile of burial stones from 1995 mark the site where human remains and artifacts were repatriated after being taken without knowledge or consent of the Inuit by anthropologists and archaeologists from 1969 to 1971. Torngat Mountains National Park. Bear guard on Rose Island. While visitors tend to spot bears from the safety of a boat or in the distance, many of the Base Camp staff and Parks Canada staff have encountered bear at close range. Their stories are like fish tales but hairier. 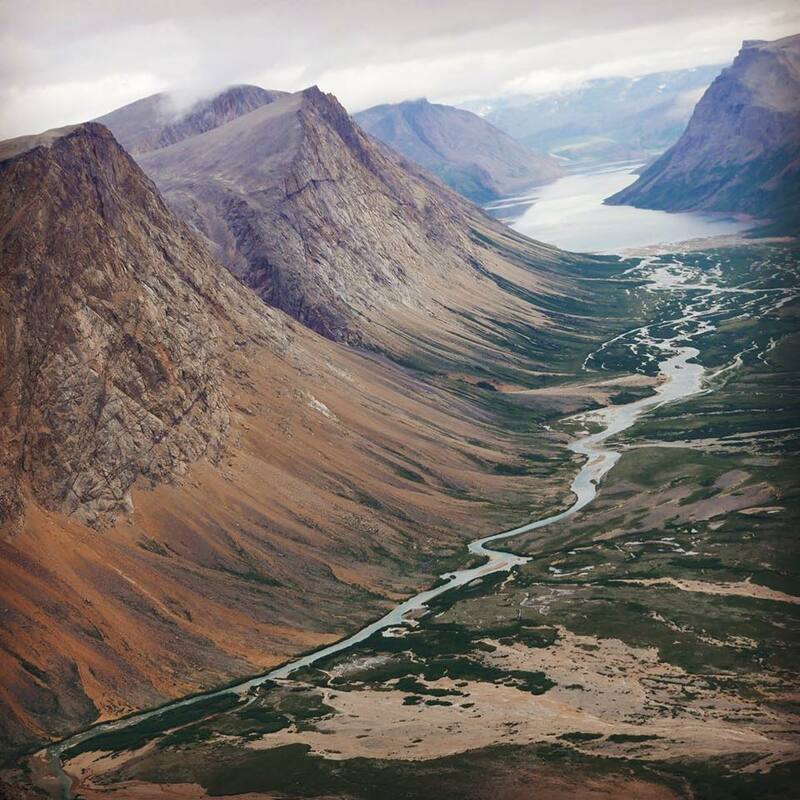 Torngats National Park, northern Labrador. Inuit anthem: On Rose Island, a burial site for so many Inuit ancestors, Sophie Keelan, Michaela Palliser, Megan Dicker, and Nancy Kooktook sing a famous song of Labrador written by Megan’s grandfather. The summer light is long and lovely in these parts. This is an after-dinner hike. Torngat Mountains. Oh, what a night: Shooting stars and dancing northern lights. We are puny beings in a big beautiful universe. (Think about your problems in that expanded context, and they just melt away.) Torngat Mountains. Berries, including crowberries, are plentiful here, and the black bears love them. In the national park you are not allowed to pick them. We are outside the park, tasting them. Tart but edible. They’d make a good pie. Holding the berries is Alexx Anderson. Nunatsiavut. The Torngat Mountains is a fitting stage for this talented trio—Mike Stevens, Elisapie Isaac, and Joe Grass, who rocked an intimate concert in a natural rock amphitheater near waterfalls. Each is a successful solo performer (Google them) but together it was more than the sum of its parts. No one came away unmoved. Elias Harris checks the nets and comes up with an Arctic char (many, actually). Torngat Mountains. 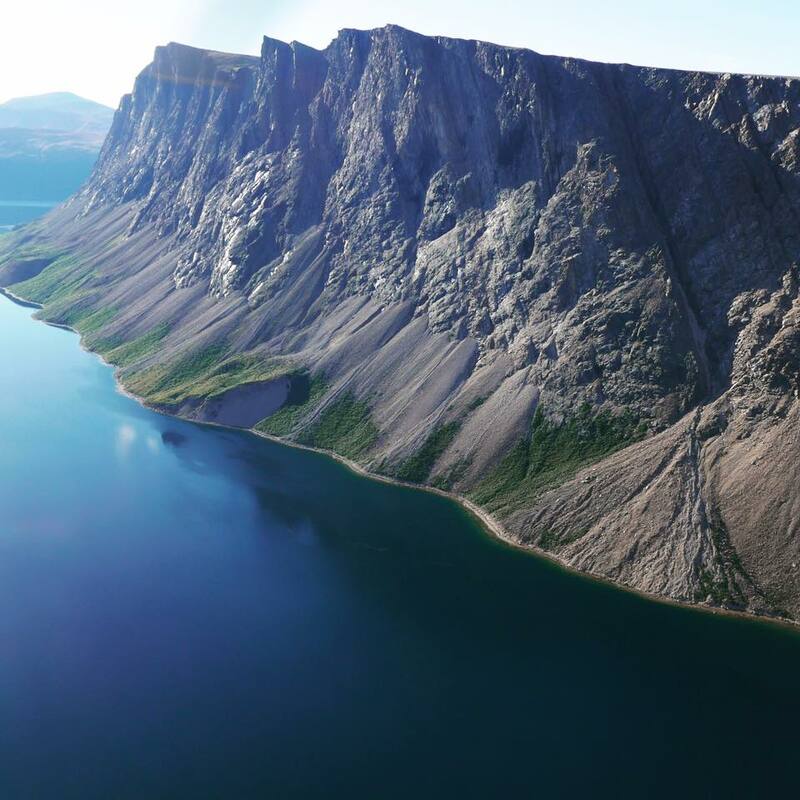 To appreciate the sheer scale and grandeur of the Torngats, let me take you on a helicopter ride (or rather, let able pilot Steve Lodge). Rocks found here are some of the oldest on Earth, dating back four billion years. You’re in a helicopter with me. The Torngat Mountains have no trees since we’re above the Arctic tree line. Let’s swoop down on Ramah. It is the only known source of a translucent type of chert stone, valued by ancient aboriginal peoples for its ability to keep a sharp edge and for its sacred qualities. Ramah chert has been found in far-off locales, pointing to the existence of a network of trade that goes back thousands of years. Torngat Mountains National Park. One last chopper shot: Sometimes Nature is so over-the-top we can only compare it to something manufactured. This spot is called Windex Lake, and yes, it really is that blue. Northern Labrador. In this picturesque former coastal settlement of Hebron, as well as at several other communities in the area, something terrible happened 57 years ago. The government, with the collusion of the Moravian Church which first settled and managed these villages, decided to stop services and forcibly relocated residents to more southerly locations. Promised aid and support never came. The wounds of the dispersed people persist in the next generation. But healing has begun. Hebron was named a National Historic Site. The buildings are in the process of restoration. 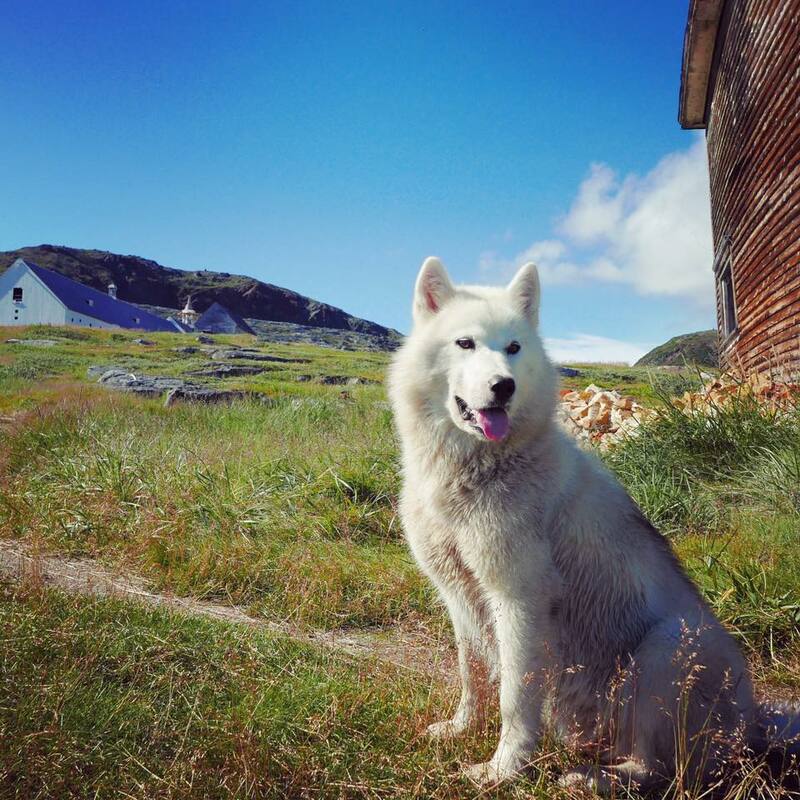 A caretaker (who was born on the island) and his family (and his dogs) give tours to visitors. Former residents have returned for gatherings; many who hadn't seen each other since they were children. Fixer upper: These listing, creaky structures were once a whale blubber processing house and a mercantile building. The once thriving community of Hebron was established by German Moravians, a Protestant sect, in the 1830s. They converted the Inuit and set up schools. Many Inuit remain members of the Church today. In the church where he was baptized, John Jararuse shares memories of his childhood in Hebron. “When we were forced to move, I was still small so I don’t have too many memories,” he said. “I do recall being somewhat excited because I thought we’d get to stay up past 9 o’clock and have more fun in our new home. Little did I know.” He later walked us over to his father’s grave in the cemetery. Northern Labrador. Places are soulless without people. You've met some of those who are tied to the land by birth or heritage. Here are a few of my fellow travelers (we're all wearing Parks Canada caps, or tuques, as the Canadians say), Guy, Glen, Susan, Ole,Jenn, Joannie. Thanks to many other new friends, among them Janice, Gary, Judy, Shelagh, Mike, Elisapie Isaac, J.b. Gazon, Jeff, Alexx, Sophie, John, Naansi, Jean, Darlene, Lindsey, Jason,Nancy, Megan, Jonathan, Ruth, Michaela, Steve, Matt, Eric, Jean, Joe, Chana, Vicky, Michele,Sheryl, Nathalie, Clay, Leo, Steve, and others. Selfie-stick photo by Ole Helmhausen. My gift to you. Thanks for coming along with me. Here’s a recipe for iceberg tea. Find a floating iceberg and hack a hunk off. Shave into smaller bits. Put in a tall glass. Pour Lipton tea into it. Sugar to taste. (If an iceberg is unavailable, substitute with ice cubes from your freezer; tastes pretty much the same.) Sip and think of Far North climes.